THIS IS 160% ATTIKA. AT LEAST! If you value high-end products, then you’re going to love NEXO 160. This product allows you to create your very own personalised stove with a choice of six stylish colours and six quality handles. Attika’s signature design options such as the fire chamber door made entirely of glass or large side windows on one or both sides provide that additional “wow” factor and put more of the fire on show. 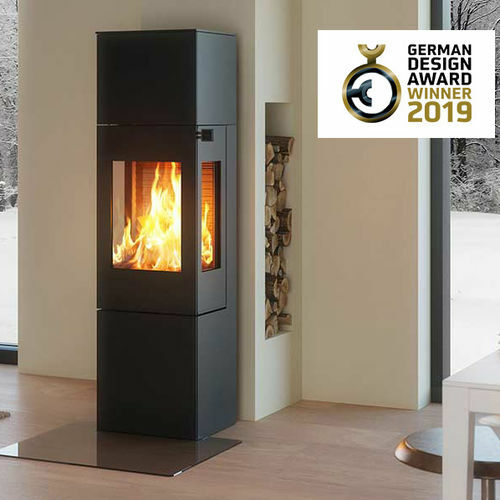 To increase energy efficiency, we recommend the storage module (75 kg), which stores the heat of the fire and keeps the room warm over the next few hours by slowly releasing this heat.